In a beautiful country with a rugged landscape, the stark reality is that the journey to equality and education for all is equally rough, where poor literacy levels still abound, 24 years into democracy. In as much as all eyes are on our education system, the real remedy lies in a concerted, collective effort by all facets in society to pull together and contribute to the goal: literacy for all South Africans. 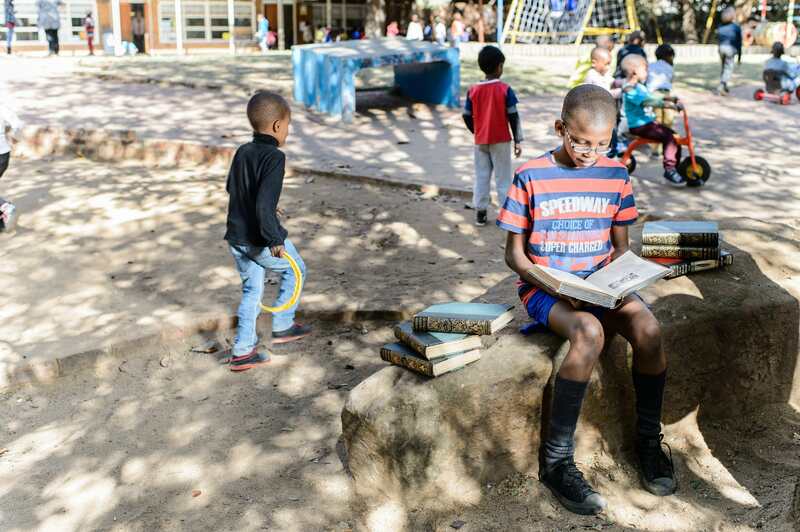 For the past two decades, Rally to Read has quietly ploughed forward, making inroads by actively furthering literacy in rural South Africa. Rally to Read delivers educational materials and provides teacher training to specifically identified rural schools that frequently tend to ‘fall through the cracks’ of already-stretched provincial education budgets. In these schools, things the rest of us take for granted … books, pens, desks … are absent. Imagine how hard it is for educators to inspire, educate and promote literacy without the basics? Responsible businesses and concerned private individuals contribute to the Rally to Read budget every year. This money pays for stationery, books, portable classroom libraries, and teacher training. Schools identified for the Rally to Read Programme are visited three years in a row. Educationalists believe this is the minimum period required to achieve sustainable results. Over the past 20 years, independent studies have shown remarkable improvements in reading and writing skills at Rally to Read schools. Off the beaten track, Rally to Read is 100% on track in the pursuit of literacy. What makes this concept unique is that sponsors personally distribute the materials purchased. At no extra cost, they accompany their colleagues or families over a weekend, in a convoy to rural South Africa. They meet the children and educators whose lives they’re enriching, along with eager parents and community leaders. Four rallies are planned for 2018, and even more are planned in years to come. The four provinces targeted in this year’s activities, are KwaZulu-Natal, Free State, Eastern Cape and Western Cape. Generally, resources are loaded on the Saturday morning; convoys are split into teams, each of which visits two schools. Teams meet up later to talk about the day’s activities and sponsors spend a night in a nearby hotel and are invited to participate in an excursion before heading home. The Free State rally will take place on 8 – 9 September, the KwaZulu-Natal rally on 20 October, the Western Cape rally will be held on 27 – 28 October and the Eastern Cape rally will take place on 3 – 4 November. Sponsorship amounts to R35 000,00. Food and accommodation costs for the rally weekend are footed by the hosts and organisers. Off-road vehicles are available for hire at special rates. Why not become involved in the Rally with a difference? Make inroads to places where literacy will make a lifetime of difference. For more details on how you can get involved, visit http://rallytoread.co.za/, or contact Lizelle on 0872377781. This initiative is supported by READ Educational Trust, a non-profit organisation whose sole objective is to promote literacy across South Africa.